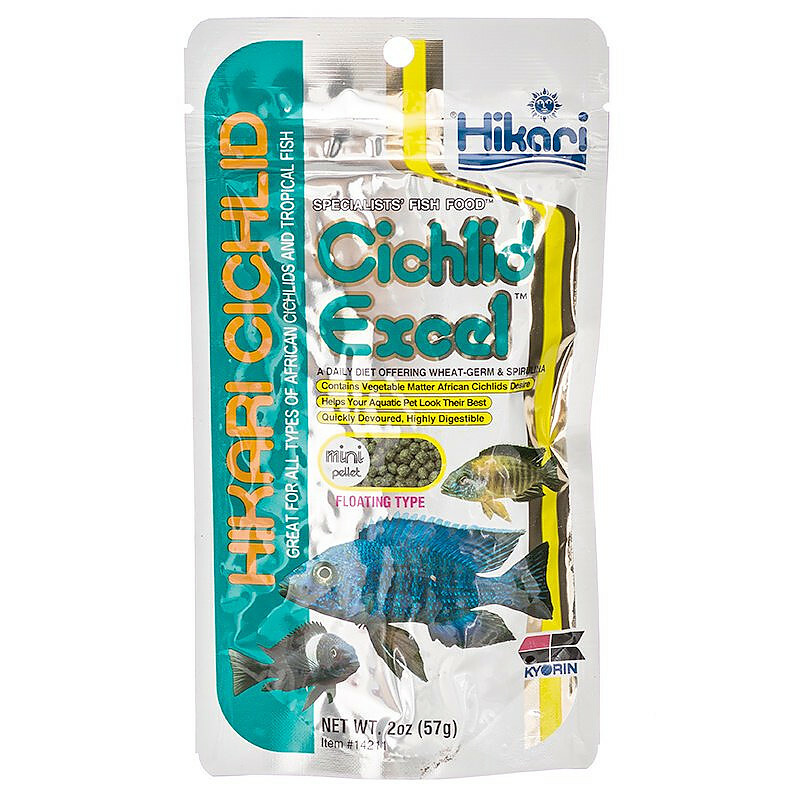 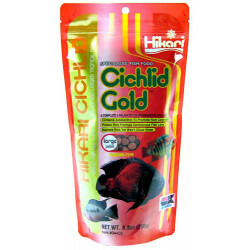 Hikari Cichlid Excel Mini Floating Pellet Food is specially formulated for herbivorous (plant eating) fish. 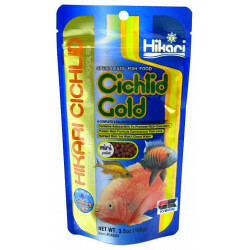 This superior diet can be fed to African Cichlids and many types of plant eating tropical fish with excellent results! 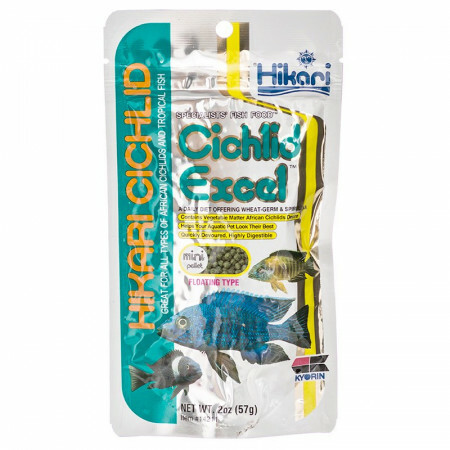 This formula combines wheat-germ, spirulina and vitamins and minerals in an extremely nutritious, easy-to-digest staple diet that provides powerful color enhancement and promotes outstanding growth characteristics. 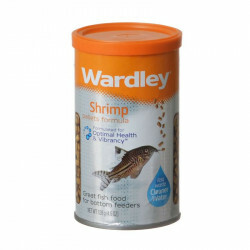 Feeding Instructions: Feed 2-4 times daily the amount your fish will consume within a few minutes. 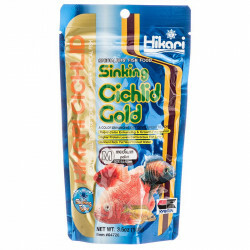 Remove all remaining food after feeding to avoid over-feeding and resulting water purity problems.